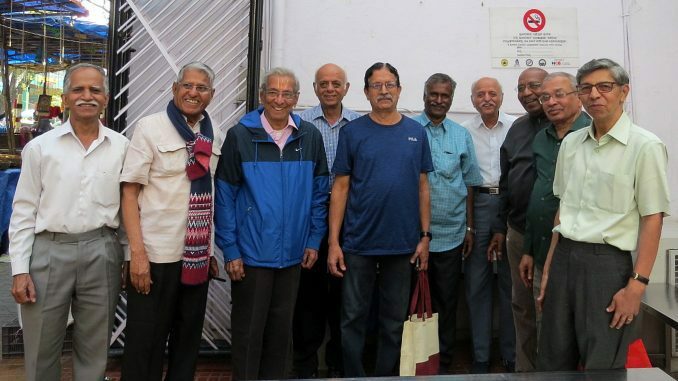 We have several group for senior citizens in our city, but today (16 Jan,2019) I attended a meet of senior citizens…the common factor between them being that their children are living in Portland, Oregon, in the western seaboard of the USA! 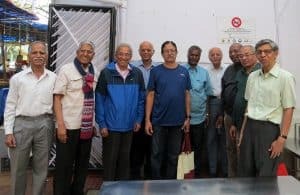 The group, all of whom are on WhatsApp, is called “PDX BLR Friends”, and is an offshoot of “PDX Seniors” in the city of Portland. 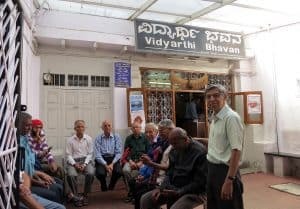 The venue chosen for the morning meet was another “senior” of Basavanagudi, Vidyarthi Bhavan, which has existed since 1943. I spoke to Sri Venkatesh Rao, who had used the Metro to arrive at the meet. 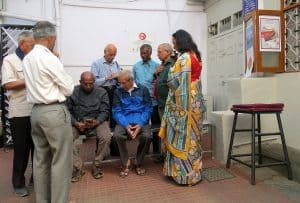 The good-fellowship of the group was palpable, and he shared the beaming smiles that greeted the arrival of the 90-year-old gentleman, Sri V T Raghavachari, whom his affectionate daughter-in-law, Jayashree, was bringing to the venue. Sri Surya Prakash also spoke to me, and told me about the many meets and outings he has ogranized, including a trip to the Ramanathapura temple a few days ago. The group went there in a hired Innova, for a day’s outing. He’s planning such outings regularly, he said. 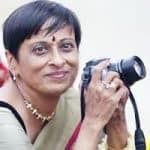 I remarked that there seemed to be only gentlemen here,but Jayashree told me that in Portland, a lot of ladies also attend the gathering regularly. Over a masala dosa and filter coffee, Sri Raghavachari exchanged news and greetings with his fellow-members. It was delightful to see the happy smiles of the silver citizens! Long may this camaraderie last, was my prayer, as I watched.